You found out about our new TV show yesterday, but we’ve actually been shooting for the last two months. And this week, the episode we’re shooting is all about stance. H2Oi is notorious not just for featuring the best stanced cars in the world, but also for being a giant middle finger at The Man. In 2015 alone, there were 1,222 traffic stops. This is in a town with a population of normally around just 7,000 people. And just because it’s “officially canceled,” doesn’t mean that everyone puts their middle fingers away. Definitely not. The turnout will still be immense. Even as I sit in my hotel room at type this, my walls are vibrating from somebody doing a burnout just outside. Frankly, I’m mad at all of YOU for reading this right now, preventing me from being out there RIGHT THIS INSTANT, and bathing in the heady vapors of all that sweet, sweet, tire smoke. 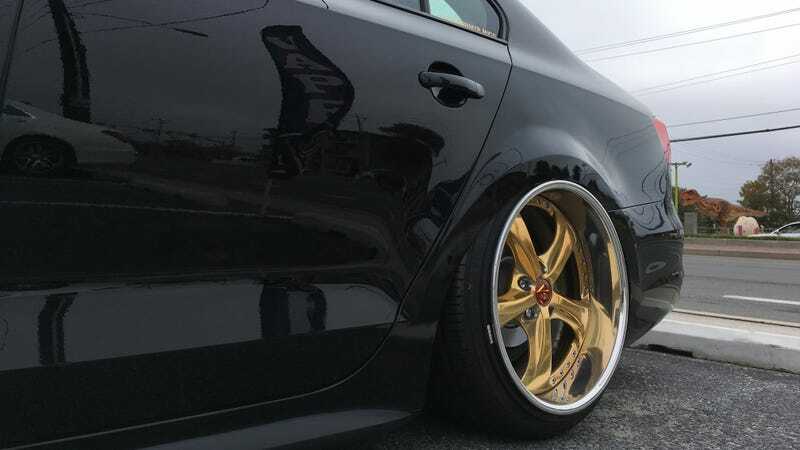 H2Oi might not be sanctioned by the authorities this time around, but our own eyes and ears tell us that it’s most definitely still happening. If you do, come up, say hi, and show us your Stancenation pride. Car vs. America premieres on Fusion on Wednesday, Oct. 18 at 8 p.m. ET and PT. Find out if you have Fusion here, and check out how to stream it on the Watch Fusion app.